Tammy Muniz’s morning routine was a little more entertaining in June. In addition to her normal primping, the stylist also had to decide which pink wig to put on. 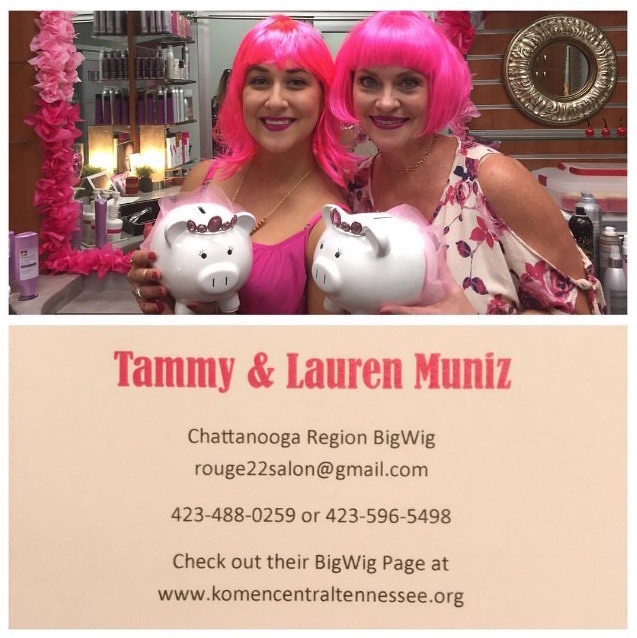 Tammy and her daughter Lauren Muniz co-own Rouge 22 Salon in Chattanooga, Tennessee, and the duo collected a half-dozen pink wigs while participating in Susan G. Komen’s BigWigs campaign, a four-week, national initiative designed to raise awareness and cash for breast cancer research and programs. “We wore the wigs everyday, to work and at BigWigs events,” explains Lauren. 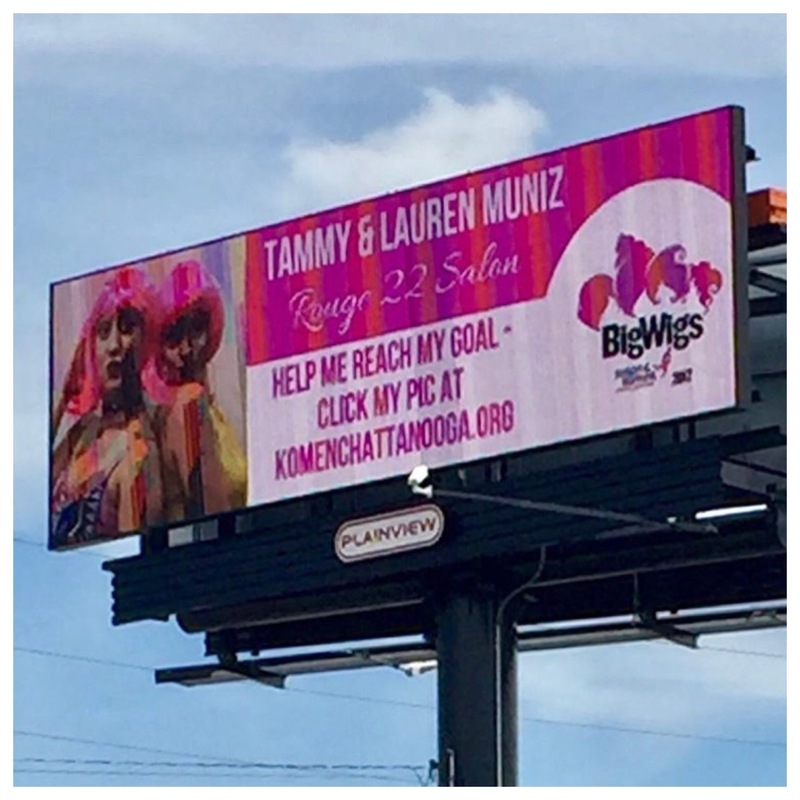 She and Tammy were two of the 16 BigWigs ambassadors selected to participate in the campaign in central Tennessee in June. 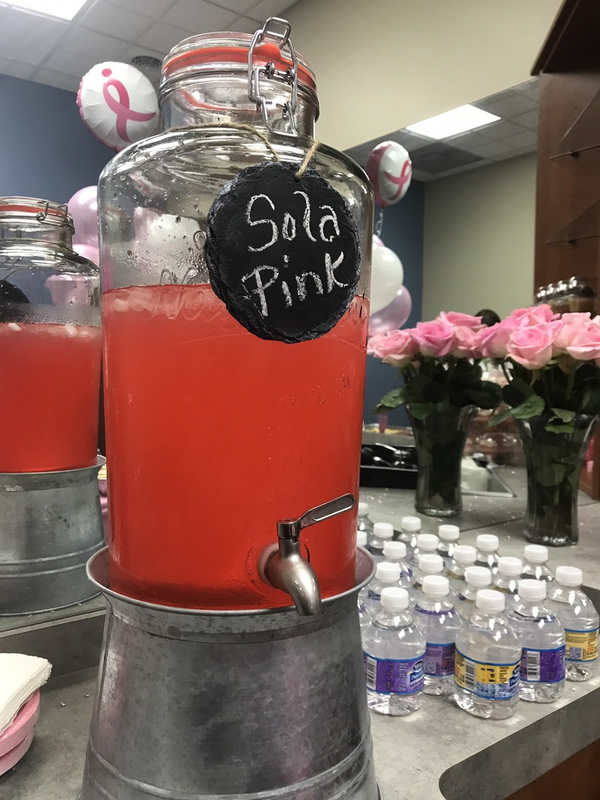 The stylists were nominated by a Susan G. Komen Central Tennessee board member, and entered into a “friendly competition,” Lauren says, where participants faced off to see who could raise the most money in thirty days. 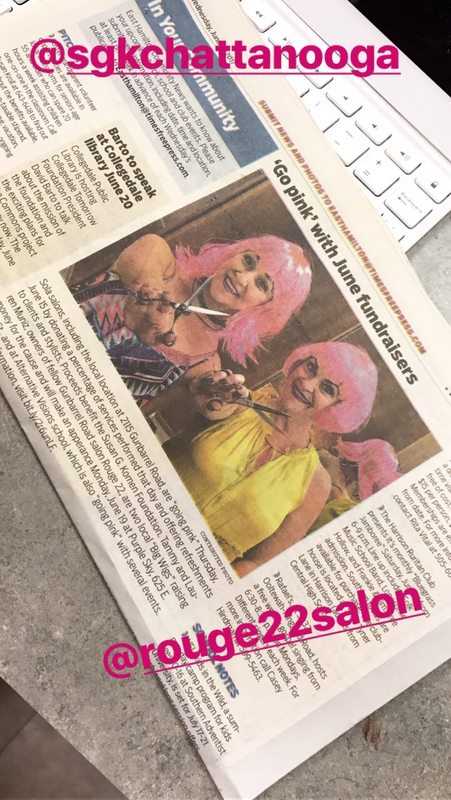 Tammy and Lauren set their goal at $2,200 dollars, as a nod to the name of the salon they’ve owned together for over two years. 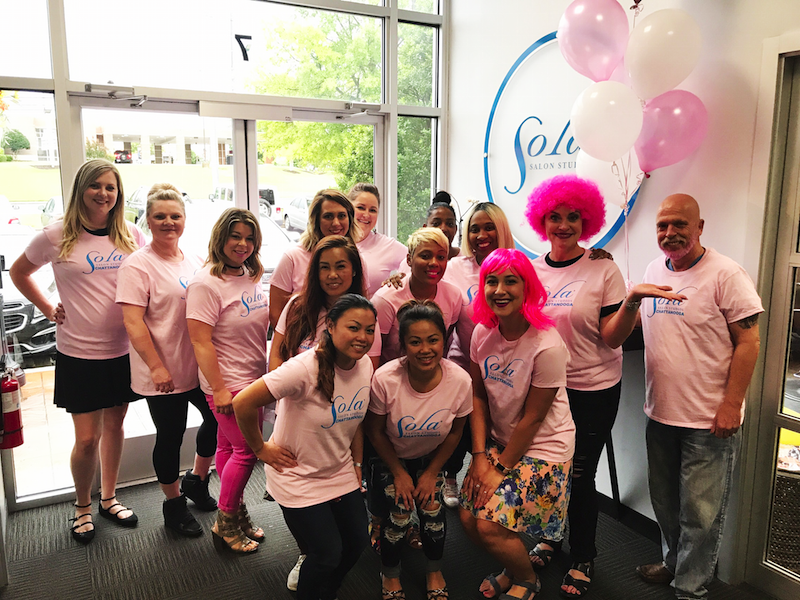 The mother-daughter stylist team blew their goal out of the water, raising a whopping $4,000 dollars! To help fund their kitty, Tammy donated $2 dollars for every service she provided in June, and Lauren donated a portion of her tips. 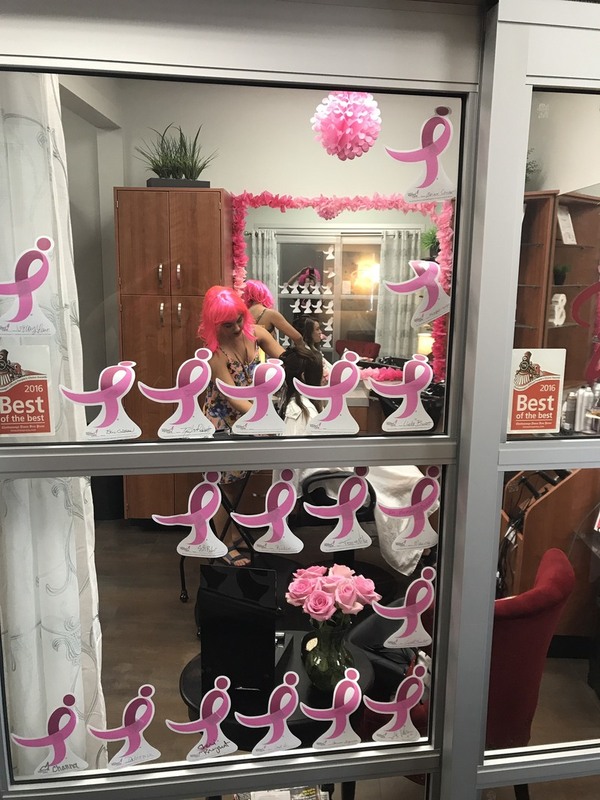 The stylists’ generosity created some serious buzz among clients, who loved that they could participate in the fundraiser just by showing up to receive their services. 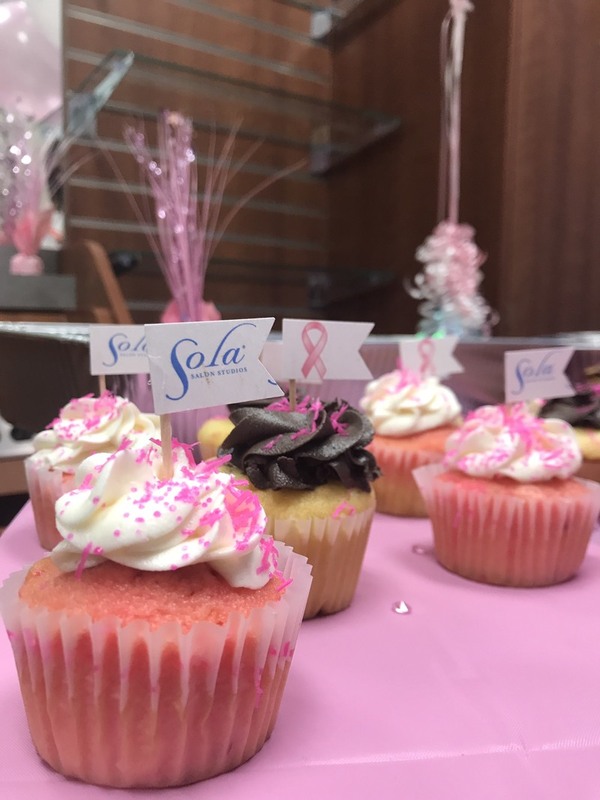 “My clients felt like they were giving back, too. It made them feel good to know their haircut was going toward something,” Lauren explains. She and Tammy supplemented their personal contributions by hosting four events fit for bigwigs. They tried to be intentional, Tammy explains, about where they held their fundraisers. “We tried to bring business to our friends and clients to create opportunities for cross-marketing and networking,” she says. The first event took place at Lauren’s favorite restaurant, Firebirds Wood Fired Grill. The eatery generously donated appetizers for approximately twenty guests, and the stylists raised $750 dollars over the course of the evening. The next events went down at Purple Sky Healing Arts – a sound healing studio – and on Thursday, June 15 their very own Chattanooga Sola Salons joined in on the fun – several other Sola stylists eagerly “went pink,” too – offering up tips and pledges during a day-long event filled with pink wine and lemonade, pink cupcakes, and some serious camaraderie and community support. Throughout the day, they raised over $500 toward their goal! Tammy and Lauren hosted their final event at Alternative Visions Hair Academy, the cosmetology school they both attended. “Every student was asked to bring a dollar, and the school donated all proceeds from haircuts that day to our cause,” Lauren explains. 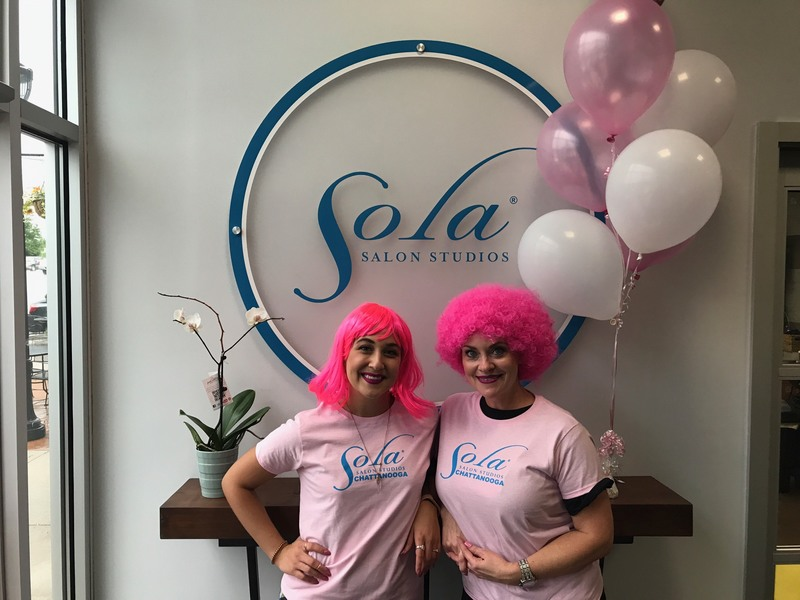 In addition to raising cash, the talented mother-daughter duo also took time to “talk to stylists in training, pump them up, and answer questions about what it is really like working in the industry,” adds Lauren. “Coordinating the events kept us busy, but it’s easier than you’d think,” Tammy says. And it was totally worth any added stress! Lauren and Tammy had wanted to get involved in their local community for a while, Tammy says, but were never quite sure how they could make a meaningful difference. Then BigWigs came along. “This was an amazing way to raise awareness while bringing the entire community together,” says Tammy. To donate to the Rouge 22 Big Wigs Campaign, CLICK HERE.